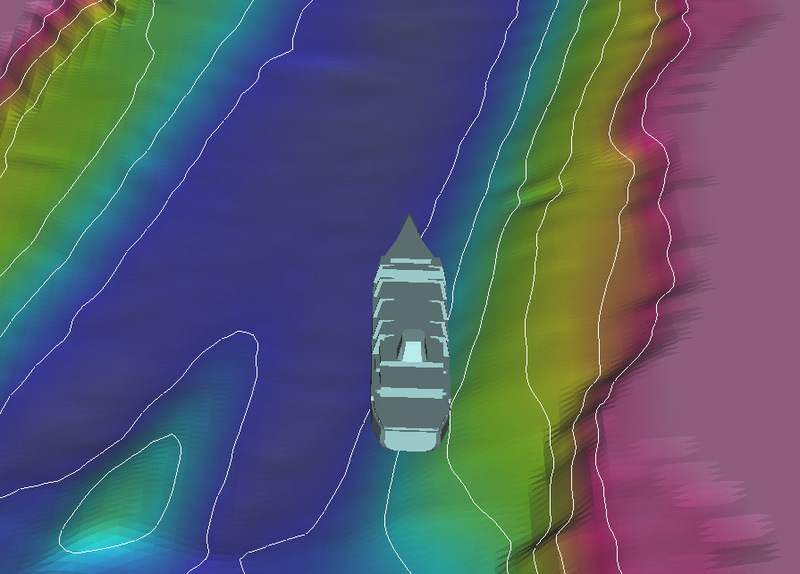 Advanced 3D visualization of hydrographic survey data with contouring and dredge drawing. 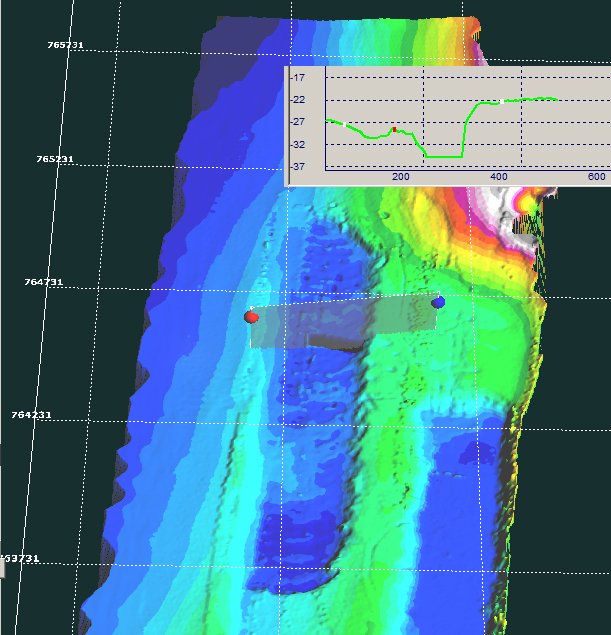 Real time updates for dredge position from GPS XYZ data. 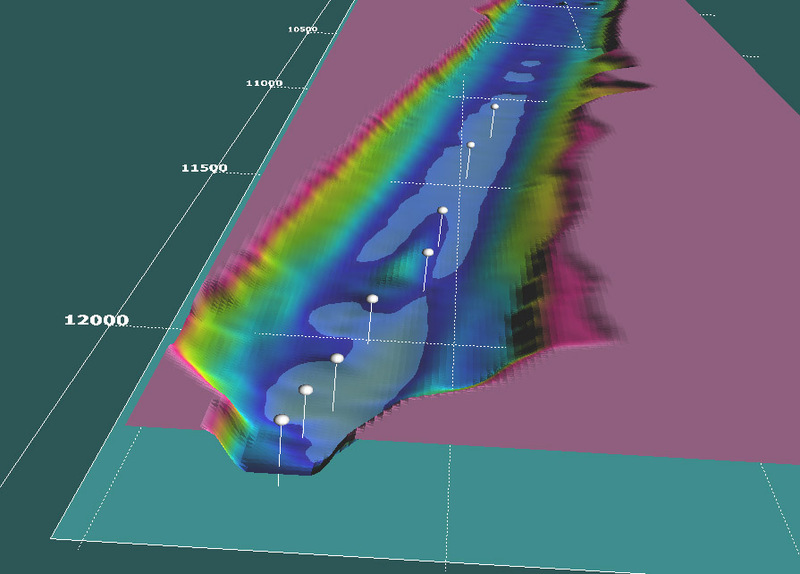 Multiple surface view of Digital Terrain Model (DTM). 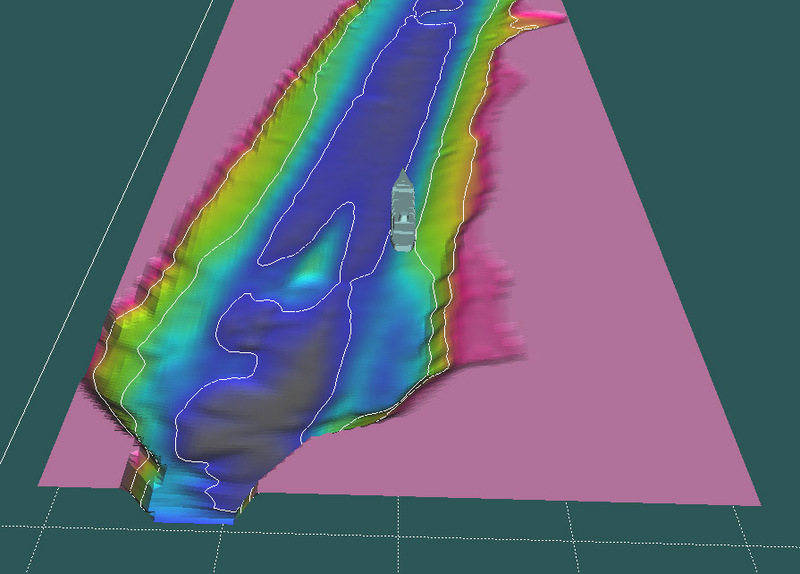 Accurate contouring in 3D space. Photorealistic fast visualization with, zoom, rotations and flyby. 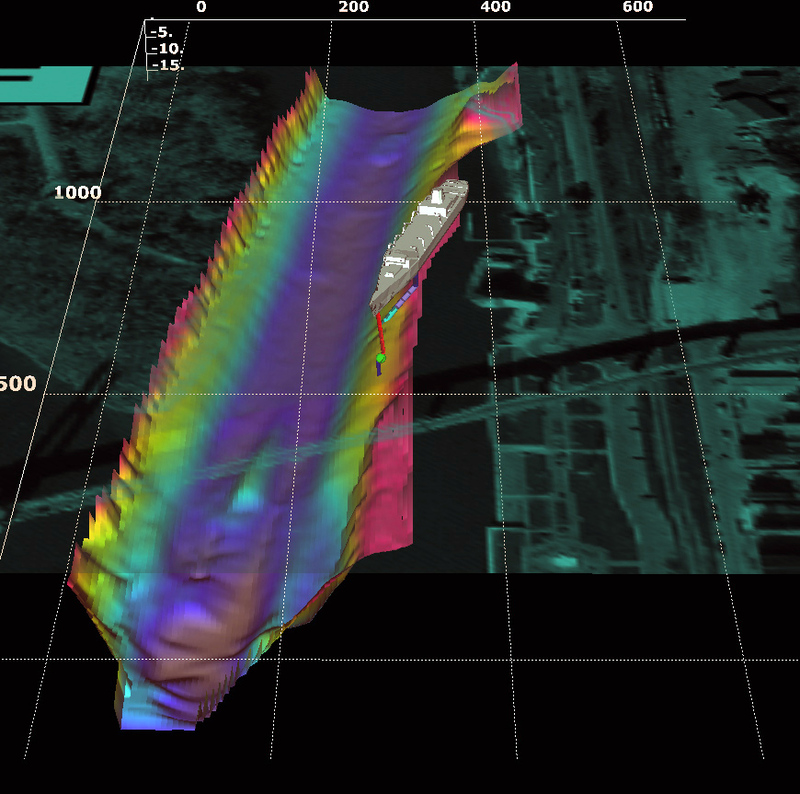 Digital terrain map (DTM) surface data reading with mouse. 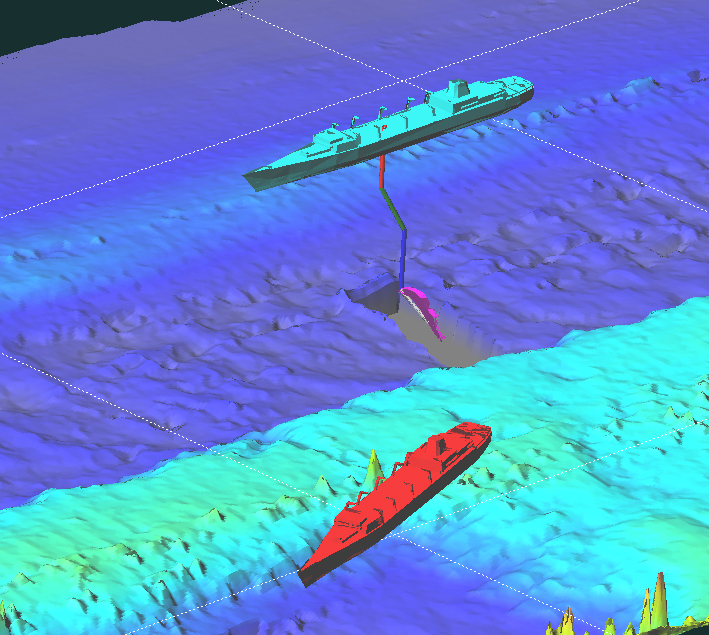 Tracklines modeling with multiple interactive markers. Water Line tool with mouse interaction. 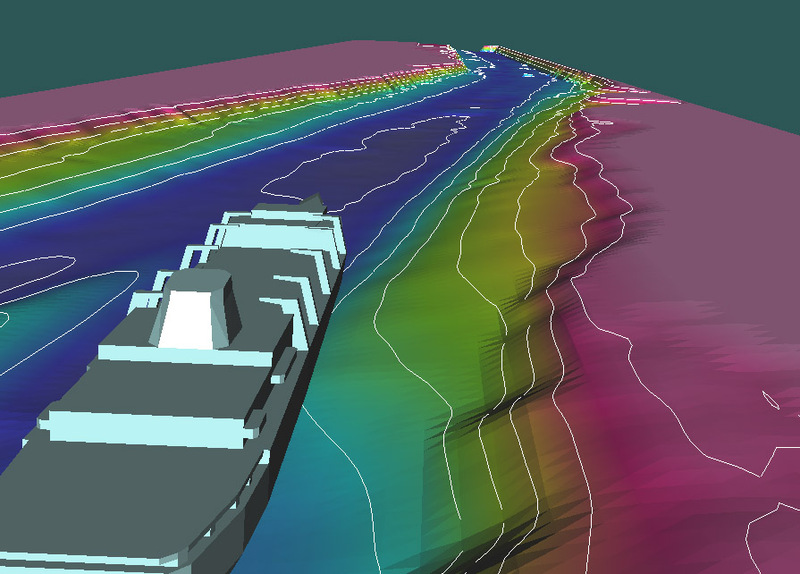 Dredging Volume estimation. 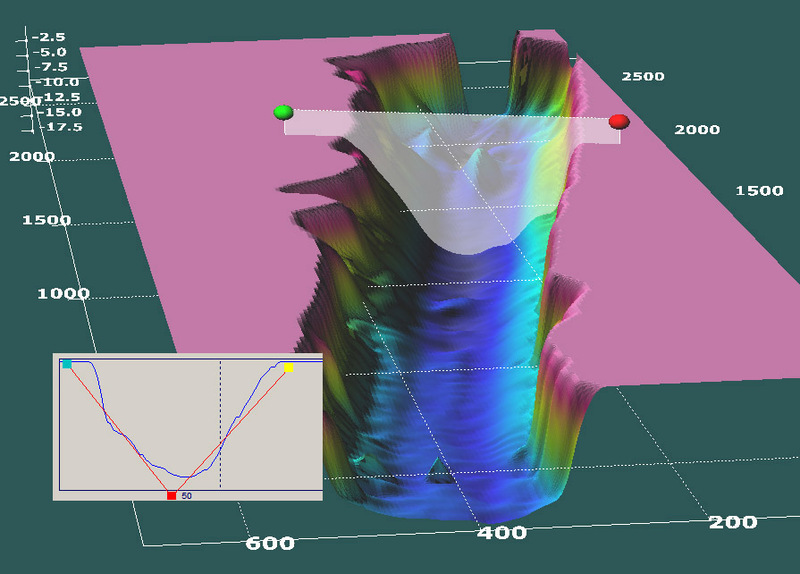 1D and 2D intersection cut profiling with interactive 3D plane tool. Data and projected model plotting in 2D plot. 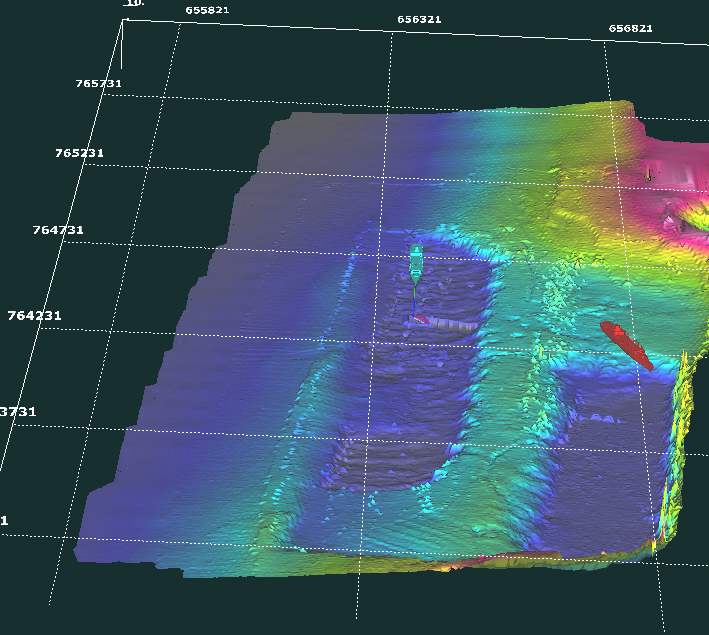 Multiple layer e-Chart, satellite and aerial photo overlays, cutter head plot, multiple layer surface for "before" and "after" dredging display. Multiple Dredge ships, Multiple physical screens. Large Data XYZ arrays, Real time Cut operation. 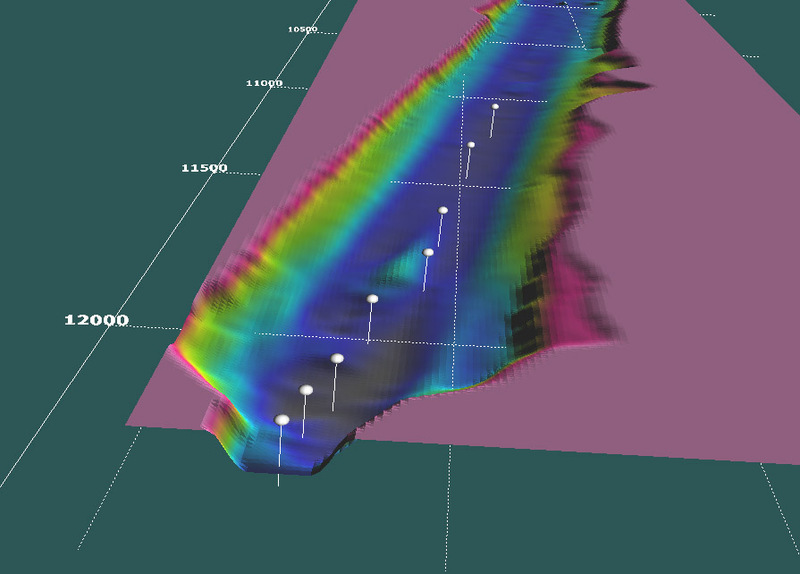 Fast 3D surface update. Real time Volume removed computation. Planned - real surface comparison, Improved cut work in real time. Simultaneous Multiple surface processing. 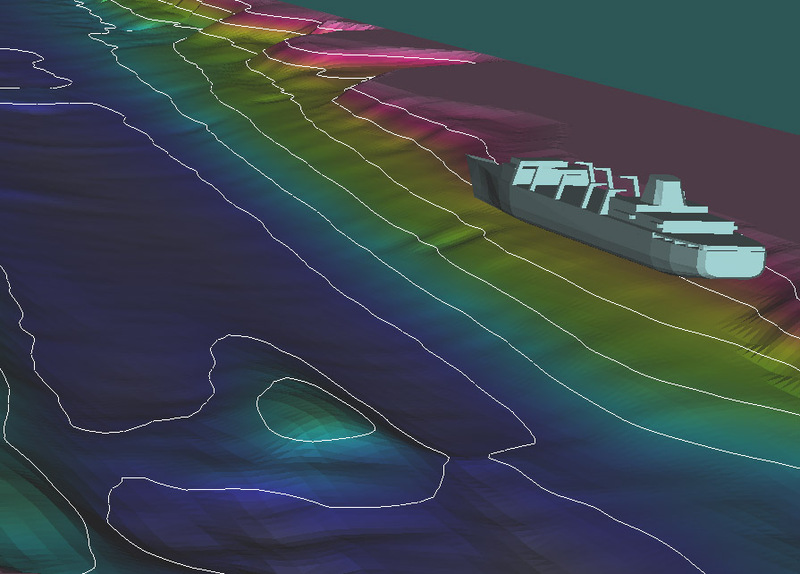 Job optimization with total control of the dredging process. 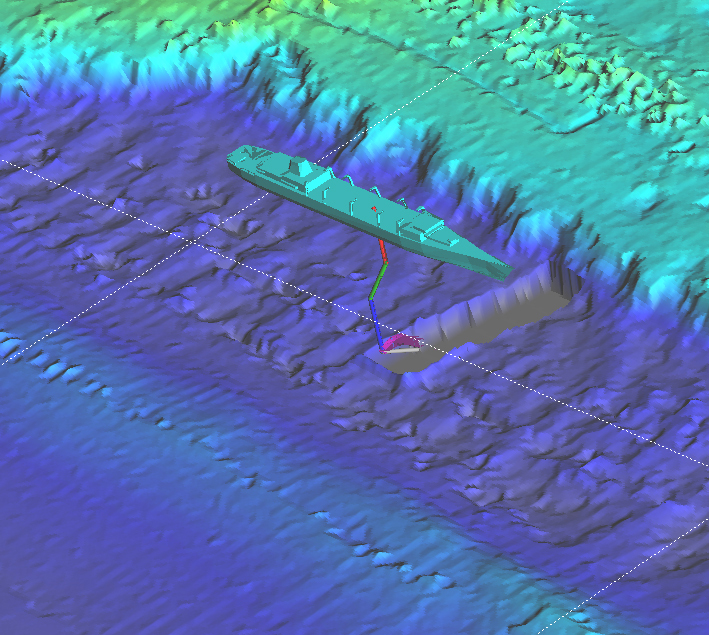 Multiple intersection cut planes, Exact volume removed calculation, GPS controlled real time operation. ATI is used under license and is a registered trademark of ATI Technologies Inc. in the United States and other countries. Copyright © 2003-2013 ScienceGL, Inc.